Google has shut down sales for their Pixel 2 and Pixel 2 XL devices. Google has ended their sales of their Pixel 2 and Pixel 2 XL devices, their flagship smartphones from last year. Google usually doesn't keep old phones around for long, and as the Pixel 3 is out now, it was only a matter of time before they discontinued the Pixel 2. The device is now wiped from the Google Store, and the Pixel 2 store link now redirects to the Pixel 3 page. This does not mean the end of the Pixel 2, as they are still being sold on external sites such as Ebay and Amazon. 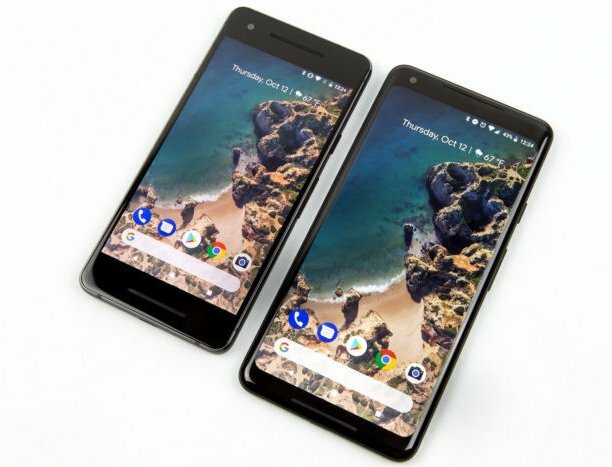 The Pixel 2 and 2 XL was a beast, sporting a modern design with slim bezels (for the time), a unique look that didn't resemble and iPhone, and on the Pixel 2 XL, an aluminium body. Luckily they have taken the aluminium body and transferred that material over to the Pixel 3, so no more worry about a glass body that breaks with one drop. The Pixel 3 also has slimmer bezels than the Pixel 2 and 2 XL had, as well has a fresh look. Before the end of Pixel 2 sales, the entry-level Pixel 2 device started at $649, but with the discontinuation of the devices, the entry-level Pixel 3 is a whopping $800 MSRP. This keeps Google's title of "Highest Priced Entry Level Device." After the Pixel 2 launch nearly a year ago, the device is still one of my personal favourites, and is on the top of many top phones of 2018 lists, and hopefully Google can keep that streak going with the Pixel 3.